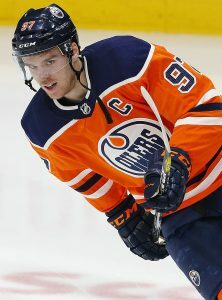 If the Edmonton Oilers have any chance of making the playoffs this season, they need to start winning and winning a lot. The team is currently on a five-game losing streak, but somehow are still within striking distance of a wild card spot in the Western Conference thanks to the struggles of several other teams. Today they got some of the best news they could hope for, as Oscar Klefbom has been activated from injured reserve and will return to the lineup tonight against the Chicago Blackhawks. Klefbom is arguably the most important defenseman on the Oilers, and his injuries this season have had a drastic effect on the team success. The 25-year old hasn’t played since leaving a game against the Colorado Avalanche on December 11th, and the team has gone 6-12-3 without him. Obviously not all of those struggles can be traced back to the absence of the 6’3″ defenseman, but there is a reason that he had been playing more than 25 minutes a game. If Klefbom can get back up to speed quickly, the Oilers still have a legitimate chance at the playoffs. Improbable as it may be, the team sits just three points behind the Vancouver Canucks for the second wild card spot and five points behind the Minnesota Wild for the first. That’s a difficult gap to cover over the last third of the season, especially given that they’ll need to leap over teams like the Colorado Avalanche, St. Louis Blues and Arizona Coyotes to do it, but not an impossible one. Klefbom may very well be the key to the Oilers play, and if the team can make an addition of some sort at the deadline to give him some help they may not end up wasting another year of Connor McDavid by missing the playoffs entirely. Saturday: John Shannon of Sportsnet reports that Klefbom had surgery on his injured finger and is expected to be out between 6-8 weeks. Wednesday: The Edmonton Oilers are rolling right now after installing a more defensive structure under new head coach Ken Hitchcock, but will now be without one of their best defensemen. Oscar Klefbom has been placed on injured reserve after suffering a hand injury in last night’s game that should keep him out “weeks.” The team has also activated Drake Caggiula while assigning Cooper Marody to the AHL. To make up for Klefbom’s absence, the team has recalled defenseman Caleb Jones, who could make his long-awaited NHL debut soon. In the first ten games of the Hitchcock era in Edmonton, he made it very clear that he would lean heavily on the players who he thought gave him the best chance to win. Klefbom was one of them, averaging over 26 minutes a night before going down to injury against Colorado. The 25-year old had also recorded seven points in those ten games, including two game-winning goals. That’s nearly half his production for the entire season, and was a stretch that had him closer to the 2016-17 version that helped the Oilers reach the playoffs. Losing him means someone else—almost surely Darnell Nurse—will have to carry the load defensively and play nearly half the game. Nurse got a taste of that when he recorded 30:44 of ice time last night, the highest total of his career by three full minutes. Along with Connor McDavid and Leon Draisaitl, Nurse will have to really excel in this period without Klefbom on the blue line and help the Oilers maintain their quick ascension of the Western Conference standings. Edmonton has gone 8-2-1 with Hitchcock in charge, and now sit just one point out of second place in the Pacific Division with a game in hand on both the San Jose Sharks and Anaheim Ducks. The Vegas Golden Knights may have lost a pair of high-end forwards in James Neal and David Perron, but the team did bring in an important free agent this offseason when they signed center Paul Stastny to a three-year deal. The 32-year-old center showed off his impressive skills after he was traded to the Winnipeg Jets from St. Louis at the trade deadline. Stastny was given the role of anchoring a line with their star youngsters’ Patrik Laine and Nikolaj Ehlers and that line was a key part of the team’s deep playoff run, before being eliminated by Vegas. Now ironically in Vegas and expected to center the team’s second line, Stastny said he spends a lot of his offseason training much differently considering that he’s entering that portion of a players’ career where a decline begins. Stastny told The Athletic’s Ryan Clark (subscription required) that he spends a lot of time focusing on off-ice things, especially his diet. Stastny, who posted 16 goals and 53 points between St. Louis and Winnipeg, expects to join the team’s second line between Alex Tuch and either Erik Haula or Tomas Tatar. The Edmonton Journal’s Kurt Leavins wonders if this is the year that defenseman Oscar Klefbom puts it all together, especially now that reports are coming in that say he’s 100 percent already with just a couple of weeks before training camp. The 25-year-old had a breakout season in 2016-17 when he tallied 12 goals and 38 points, but struggled through an injury-plagued 2017-18. Now healthy, the scribe believes this is the year he takes that next step. Normally, it takes training camp before any teams begin scrambling for an unanticipated injury replacement among the leftovers of the market. It is unclear how long the Edmonton Oilers knew about the injury to defenseman Andrej Sekera – they announced the surgery today indicating they knew of the injury prior – but what is clear is that the team will need to add another body to the mix in Sekera’s stead. Out indefinitely with a torn Achilles tendon, Sekera is likely to miss a substantial amount of time and extremely unlikely to be back at 100% at any point in the 2018-19 season. It is no coincidence that with Sekera missing most of last season due to a knee injury, the Oilers defense struggled on all fronts. Sekera had easily been the team’s top defender over the two years prior and this will now be the second straight season where he cannot be relied upon. The team must do something to avoid another frustrating campaign on the blue line, but what? In replacing Sekera, Edmonton will likely target a right-handed defenseman. Although Sekera is a lefty himself, the team is set on the left side regardless with Oscar Klefbom, Darnell Nurse, and Kris Russell. There is also free agent addition Kevin Gravel, also a left-handed defenseman, though he is best suited for his current extra man slot. The right side however poses questions behind Adam Larsson, with Matt Benning likely slated for the second pair and now a hole on the third pair. It is unlikely that the Oilers want to press Benning into a top-four role this season, nor do they want a left-handed depth option like Gravel, Ryan Stanton, or Keegan Lowe as a regular on the right side. As such, they are likely looking for a second-pair caliber righty. The easy answer is the free agent market. In a relatively stagnant summer, there remains ample talent available in unrestricted free agent defensemen. However, the Oilers are not in the most flexible of positions. The team currently has all but approximately $5MM in cap space committed to their roster which doesn’t include restricted free agent defenseman Nurse, still in need of a new contract. If and when Nurse re-signs, the team will be left with little to no cap space. Fortunately, at this point in the summer they face little competition on the free agent market and could negotiate several tryout deals with available defenders, signing one or more after the start of the season once Sekera’s $5.5MM cap hit can be buried on injured reserve. Yet, the pickings are slim on the right side. Cody Franson could be the team’s best bet with Paul Postma potentially as the next-best option. Ryan Sproul or Frank Corrado could be younger dark horse candidates, while the team could possibly look at veteran Kevin Bieksa. However, if the Oilers consider overloading on lefties as they would have anyway with Sekera, then Toby Enstrom, Luca Sbisa, Alexei Emelin, Johnny Oduya, or even old friend Brandon Davidson jump out as attractive options. If the team is set on adding a right-hander and not sold on the available free agents, they could also wait for training camp cuts. While there is no guarantee that the right player would wind up on waivers, it’s also well within the realm of possibility. Robert Bortuzzo, Nate Prosser, Jake Dotchin, Steven Kampfer, Brad Hunt, Alex Biega, and Adam McQuaid – a former favorite of Oilers GM Peter Chiarelli in Boston – are just some of the names who could wind up on the waiver wire and fit in on the right side of the Edmonton blue line. It would not be a surprise to see the team sign multiple defenders to PTO’s and also keep an close eye on who gets cut from training camps. Finally, Edmonton could simply stand pat and attempt to replace Sekera internally. On paper, it doesn’t seem like the Oilers have the pieces to do so effectively, but some of their defensive prospects have not yet been given the opportunity to show what they can do at the NHL level. Many will clamor for recent first-round pick Evan Bouchard to get a shot at sticking with the team. Although very talented – and a right shot – it would be asking a lot for the 18-year-old to step into the top pro game and succeed. It’s not unprecedented, but it is unlikely. Recent Swedish import Joel Persson, currently on loan to his SHL club, is a 24-year-old righty who could be an intriguing experiment and has more experience with the pro game. William Lagesson, on loan in Sweden last season but now back in North America, is a left-shot defenseman but played on the right side frequently during his college days at UMass and is a very safe defensive player who could be a stopgap. Elsewhere in the system, small puck-mover Ethan Bear and hulking Ryan Mantha are both righties who could provide some different style options alongside Lagesson in the AHL. Between these young possibilities and some veteran depth, the Oilers could opt to just let camp battles decide who steps into Sekera’s shoes. The only thing that is for sure is that Sekera is not going to be suiting up for Edmonton any time soon. Whether the team finds a way to add a capable free agent, gets lucky on the waiver wire, or trusts their young depth, the Oilers will need someone to step up in his stead. An injury to a top defenseman is not how they wanted to begin the season, but the Oilers now have some time to figure it out before the puck drops on the new campaign. With the Stanley Cup champions crowned and the offseason getting underway, the trade season is about to get started. In Buffalo, many expect general manager Jason Botterill to make some changes after a dysfunctional season. The most popular name on the trade rumor circuit is Buffalo’s Ryan O’Reilly, who helped out the rumors after his season ended when he remarked he hated losing and lost his passion for the game around a locker room full of players who don’t care. However, the Buffalo News’ Mike Harrington believes that trading O’Reilly would be a mistake and advises Botterill to hold onto the center. One key reason is the team has now added two key players in Casey Mittelstadt and Rasmus Dahlin, both who should take the talent level up a notch in Buffalo. Trading a quality center in his prime doesn’t make a lot of sense if the goal is to be more competitive. How would the team replace O’Reilly’s minutes if the team traded him away? And that doesn’t even mention his value for his ability to win faceoffs. Harrington said his comments made after the season makes sense. He wants to win. He is desperate for a winning situation. O’Reilly has already said at the World Championships last month that he was stoked about the Sabres winning the draft lottery and wants to stay in Buffalo. Another argument is that while he has a large contract, O’Reilly’s $52MM contract was heavily frontloaded with Buffalo already having paid $20MM in the first two years. Starting in 2019-20, he will cost just $6MM per year ($5MM signing bonus, $1MM salary), making it a very affordable contract in the coming years. Harrington does say that the team probably should look to move on from defenseman Rasmus Ristolainen. With Dahlin coming in, the team doesn’t need him as bad and the scribe believes that the constant losing has gotten to Ristolainen more than anyone and had trouble seeing eye-to-eye with Jack Eichel and Sam Reinhart, suggesting that the defenseman might need a change of scenery. Ristolainen’s numbers declined slightly in his fifth year with the team as he had six goals and 41 points in 73 games. He notes a trade rumor of Ristolainen for Edmonton’s Oscar Klefbom as a smart way to give two players change of sceneries without disrupting the team’s overall defense. In the same article, Harrington questions the intelligence of buying out defenseman Zach Bogosian this offseason. With two more years on his seven-year, $36MM deal he signed back in 2013 with the Winnipeg Jets at $5.14MM AAV, the team might be better off sticking with his contract. A buyout would reduce their cap hit to $1.14MM over the next two years, but the Sabres would then have to shell out $2MM for the next two years following that when he wouldn’t be on the books anymore. Considering the team isn’t dealing with major cap implications at the moment, a buyout wouldn’t make much sense. Harrington adds that the Sabres need to be taking a serious look at Washington Capitals goaltender Philipp Grubauer. With a major need in goal and the New York Islanders already showing interest, it would make a lot of sense for the Sabres to trade for the backup goaltender. After taking the starting job from Brayden Holtby for a time near the end of the season, many believe Grubauer is ready for a starters’ role next year. Offense From Defense: Can Edmonton Improve Their Blue Line Production? Entering Wednesday’s games, Edmonton had 127 points from defensemen, 27th in the NHL. (Nashville is best, at 195.) That is something the Oilers will address in the off-season. It’s a priority. 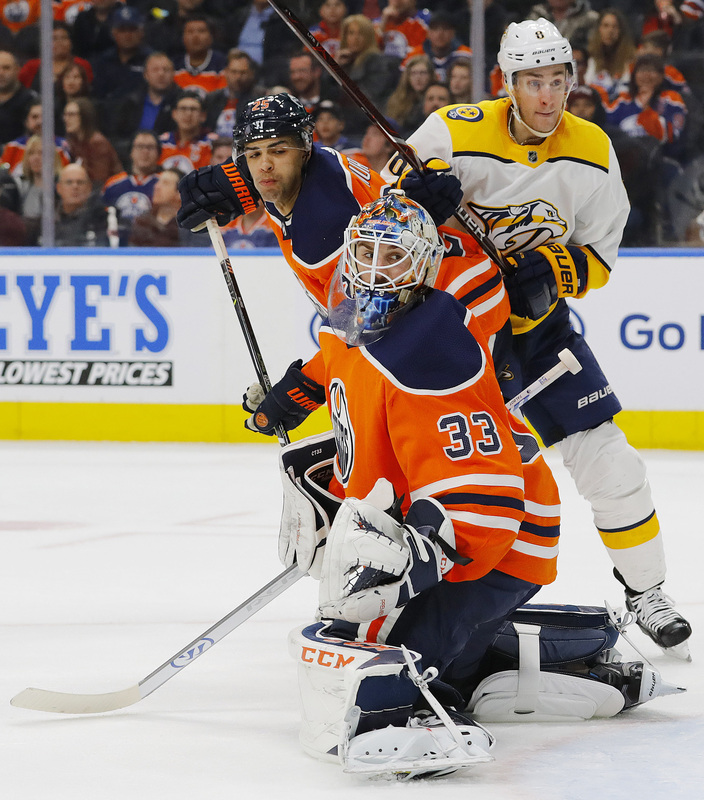 While many will point to Cam Talbot’s struggles to repeat his 2016-17 season or the lack of secondary scoring and wing options for Connor McDavid as the team’s biggest issues, Friedman has hit on a sometimes overlooked failure of the team. The Oilers defensive group has simply not been good enough at creating offense. That’s not to say they have to jump into rushes with more frequency, or try to go coast-to-coast like a Bobby Orr-redux, but their struggles at exiting the defensive zone with possession have been easy to see this season. That’s resulted in so few points, even with an outstanding offensive talent like McDavid driving the offense. So if they need some help in terms of a puck-moving defender, where can they find it? One option would be free agency, where John Carlson and Mike Green both move the puck exceptionally well. Though Green’s future is cloudy at best, Carlson is set to hit the market as the top available defenseman and could earn a seven-year contract with a huge cap hit. The problem for the Oilers isn’t that Carlson may not be worth that much, but that they might not be able to afford him. The team has already committed to four defensemen—Andrej Sekera, Adam Larsson, Oscar Klefbom and Kris Russell—for at least another three seasons, at a combined cap hit of almost $18MM. Add in extensions for Darnell Nurse (who currently leads the group with 25 points) and Matt Benning and it’s clear there will have to be another sort of change made. That would have to come through trade if there is to be a real change, and it’s not clear exactly who that would be. Some have speculated that the team was showcasing Klefbom this season, and Sekera has struggled through injury this season and not looked the same. 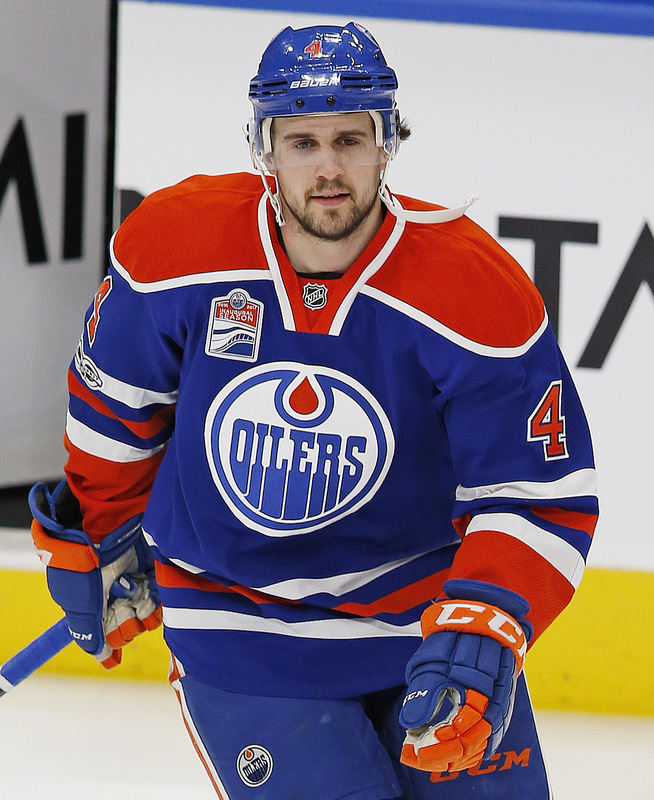 Klefbom would certainly still have many suitors if he was shopped around, but it’s not so easy with Sekera. The 31-year old defenseman has a full no-movement clause (Russell also holds one of these) until the summer of 2019, meaning he would have to agree to any potential trade. His $5.5MM cap hit is another potential red flag for an acquiring team, who can’t be sure of the production he’ll bring going forward. Either way, something must be done in Edmonton after a terribly disappointing season. The fact that they’ve identified the defense as a problem to be fixed is a good thing, and one that is sure to bring quite a bit of news this summer.